Calmodulin-dependent kinase II (CaMKII) is key for long-term potentiation of synaptic AMPA receptors. Whether CaMKII is involved in activity-dependent plasticity of other ionotropic glutamate receptors is unknown. We show that repeated pairing of pre- and postsynaptic stimulation at hippocampal mossy fibre synapses induces long-term depression of kainate receptor (KAR)-mediated responses, which depends on Ca(2+) influx, activation of CaMKII, and on the GluK5 subunit of KARs. CaMKII phosphorylation of three residues in the C-terminal domain of GluK5 subunit markedly increases lateral mobility of KARs, possibly by decreasing the binding of GluK5 to PSD-95. CaMKII activation also promotes surface expression of KARs at extrasynaptic sites, but concomitantly decreases its synaptic content. Using a molecular replacement strategy, we demonstrate that the direct phosphorylation of GluK5 by CaMKII is necessary for KAR-LTD. We propose that CaMKII-dependent phosphorylation of GluK5 is responsible for synaptic depression by untrapping of KARs from the PSD and increased diffusion away from synaptic sites. Selective block of postsynaptic kainate receptors reveals their function at hippocampal mossy fiber synapses. Progress in understanding the roles of kainate receptors (KARs) in synaptic integration, synaptic networks, and higher brain function has been hampered by the lack of selective pharmacological tools. 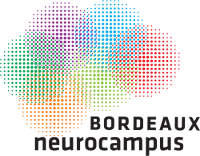 We have found that UBP310 and related willardiine derivatives, previously characterized as selective GluK1 and GluK3 KAR antagonists, block postsynaptic KARs at hippocampal mossy fiber (MF) CA3 synapses while sparing AMPA and NMDA receptors. We further show that UBP310 is an antagonist of recombinant GluK2/GluK5 receptors, the major population of KARs in the brain. Postsynaptic KAR receptor blockade at MF synapses significantly reduces the sustained depolarization, which builds up during repetitive activity, and impacts on spike transmission mediated by heterosynaptic signals. In addition, KARs present in aberrant MF synapses in the epileptic hippocampus were also blocked by UBP310. Our results support a specific role for postsynaptic KARs in synaptic integration of CA3 pyramidal cells and describe a tool that will be instrumental in understanding the physiopathological role of KARs in the brain. Zinc potentiates GluK3 glutamate receptor function by stabilizing the ligand binding domain dimer interface. Kainate receptors (KARs) play a key role in the regulation of synaptic networks. Here, we show that zinc, a cation released at a subset of glutamatergic synapses, potentiates glutamate currents mediated by homomeric and heteromeric KARs containing GluK3 at 10-100 muM concentrations, whereas it inhibits other KAR subtypes. Potentiation of GluK3 currents is mainly due to reduced desensitization, as shown by kinetic analysis and desensitization mutants. Crystallographic and mutation analyses revealed that a specific zinc binding site is formed at the base of the ligand binding domain (LBD) dimer interface by a GluK3-specific aspartate (Asp759), together with two conserved residues, His762 and Asp730, the latter located on the partner subunit. In addition, we propose that tetrameric GluK2/GluK3 receptors are likely assembled as pairs of heterodimeric LBDs. Therefore, zinc binding stabilizes the labile GluK3 dimer interface, slows desensitization, and potentiates currents, providing a mechanism for KAR potentiation at glutamatergic synapses. Contactin-associated protein 1 (Caspr1) regulates the traffic and synaptic content of alpha-amino-3-hydroxy-5-methyl-4-isoxazolepropionic acid (AMPA)-type glutamate receptors. Glutamate receptors of the alpha-amino-3-hydroxy-5-methyl-4-isoxazolepropionic acid (AMPA) type mediate fast excitatory synaptic transmission in the CNS. Synaptic strength is modulated by AMPA receptor binding partners, which regulate receptor synaptic targeting and functional properties. We identify Contactin-associated protein 1 (Caspr1) as an AMPA receptor interactor. Caspr1 is present in synapses and interacts with AMPA receptors in brain synaptic fractions. Coexpression of Caspr1 with GluA1 increases the amplitude of glutamate-evoked currents. Caspr1 overexpression in hippocampal neurons increases the number and size of synaptic GluA1 clusters, whereas knockdown of Caspr1 decreases the intensity of synaptic GluA1 clusters. Hence, Caspr1 is a regulator of the trafficking of AMPA receptors to synapses. Kainate receptors (KARs) are widely expressed in the brain and are present at both presynaptic and postsynaptic sites. GluK3-containing KARs are thought to compose presynaptic autoreceptors that facilitate hippocampal mossy fiber synaptic transmission. Here we identify molecular mechanisms that underlie the polarized trafficking of KARs composed of the GluK3b splice variant. Endocytosis followed by degradation is driven by a dileucine motif on the cytoplasmic C-terminal domain of GluK3b in heterologous cells, in cultured hippocampal neurons, and in dentate granule cells from organotypic slice cultures. The internalization of GluK3b is clathrin and dynamin2 dependent. GluK3b is differentially endocytosed in dendrites as compared to the axons. These data suggest that the polarized trafficking of KARs in neurons could be controlled by the regulation of receptor endocytosis. Gating and permeation of kainate receptors: differences unveiled. Kainate receptors (KARs) represent, together with alpha-amino-3-hydroxy-5-methyl-4-isoxazolepropionic acid (AMPA) and N-methyl D-aspartate (NMDA) receptors, one of the three families of ionotropic glutamate receptors. Recent advances in the study of their biophysical properties have revealed a surprising diversity. KAR-mediated excitatory postsynaptic currents (EPSCs) are often much slower than AMPA receptor-mediated EPSCs, and this is probably due to the slow deactivation rate of KARs containing the GluK4 or GluK5 subunits. By contrast, GluK3-containing receptors, unlike other AMPA/kainate receptors, desensitize faster at low agonist concentrations, making these receptors insensitive to glutamate spillover from neighboring synapses. Moreover, KARs have a wide range of sensitivities to intracellular polyamines and consequently of voltage dependent activation. Finally, newly discovered associated proteins, such as Neto1 and 2, have marked effects on receptor properties, increasing further the potential diversity of KAR functional properties. Altogether, this functional diversity of KARs could have profound consequences on their ability to shape synaptic transmission under physiological and pathological conditions. Neuropeptide Y stimulates proliferation, migration and differentiation of neural precursors from the subventricular zone in adult mice. The neuropeptide Y (NPY) is widely expressed in the central nervous system and has been shown to stimulate neurogenesis in the hippocampus and the olfactory epithelium. Here, we demonstrate that intracerebroventricular injection of NPY stimulates proliferation of neural precursors in the mice subventricular zone (SVZ), one the most neurogenic areas of the brain. Newly generated neuroblasts migrate through the rostral migratory stream to the olfactory bulb and also directly to the striatum, as evidenced by BrdU labelling and cell phenotyping. Using knock-out mice, specific NPY receptor agonists and antagonists, we report that this neuroproliferative effect is mediated by the Y1 receptor subtype that we found to be highly expressed in the SVZ both at the mRNA and protein levels. Our data suggest that stimulating endogenous SVZ neural stem cells by NPY may be of a potential interest in cell replacement based therapies of neurodegenerative diseases affecting the striatum such as Huntington's disease.